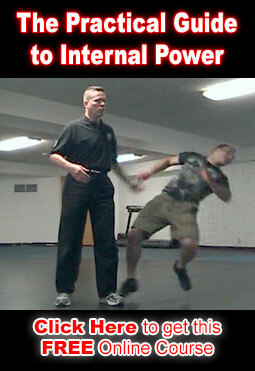 Fighting Rhythm refers to the repetitive pace and timing that you are moving to when you are in motion to fight. A rhythm is a pattern that continually repeats. In a fighting rhythm the movement of the person continually repeats or flows to a certain beat in a repetitive pattern. 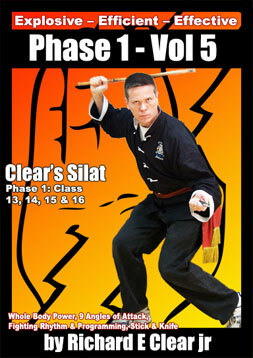 The movement can range from quite simple to very complex. The benefits of a rhythm are that the average person can normally maintain a rhythm for quite awhile (several minutes or longer) without fatigue. This is partly due to the fact that the conscious mind is not overly stressed and is able to rest in a rhythmic state. The downside of rhythmic motion for fighting is that the movement pattern can usually be figured out by an observing opponent and then they can reasonably predict your next move or moves and counter you just prior to the move or as you begin to make the move. A simple drill to work on rhythmic motion for fighting is to have your partner stand in the center of a circle and field your strikes while you use rhythm and move around them and throw your strikes from the outside position of the circle.